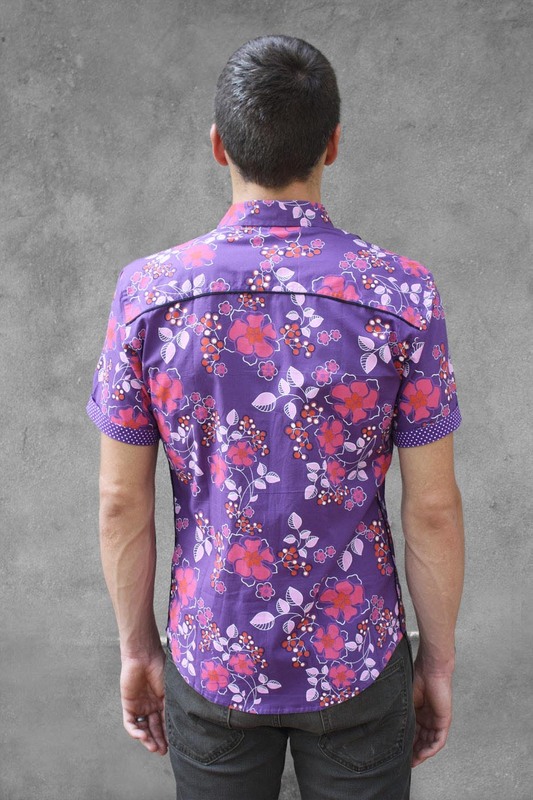 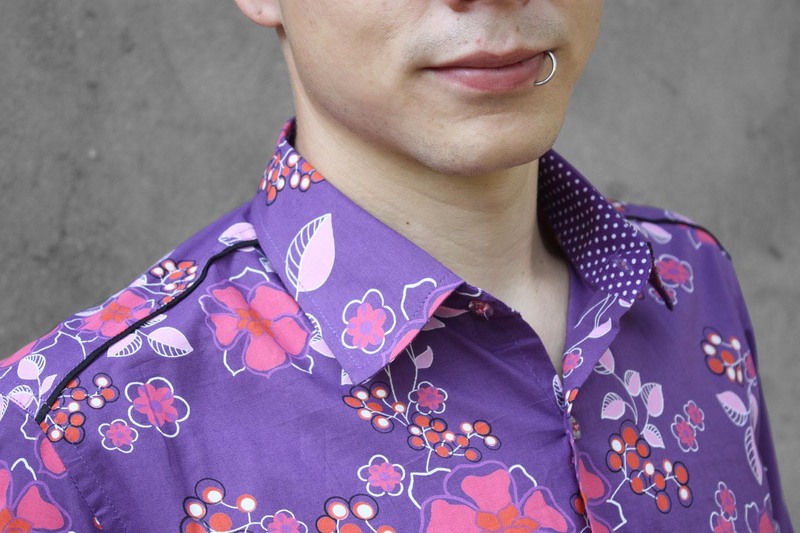 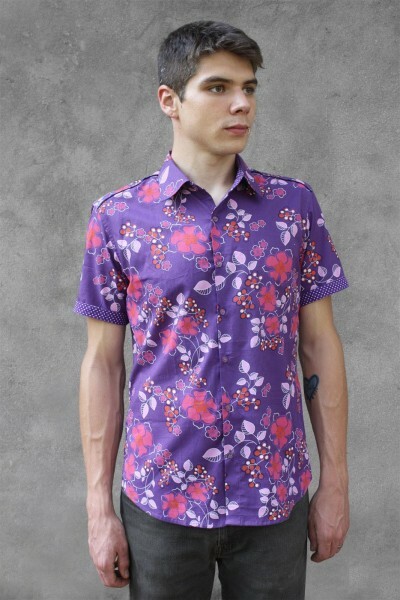 Purple floral shirt, short sleeve, made out of cotton poplin. 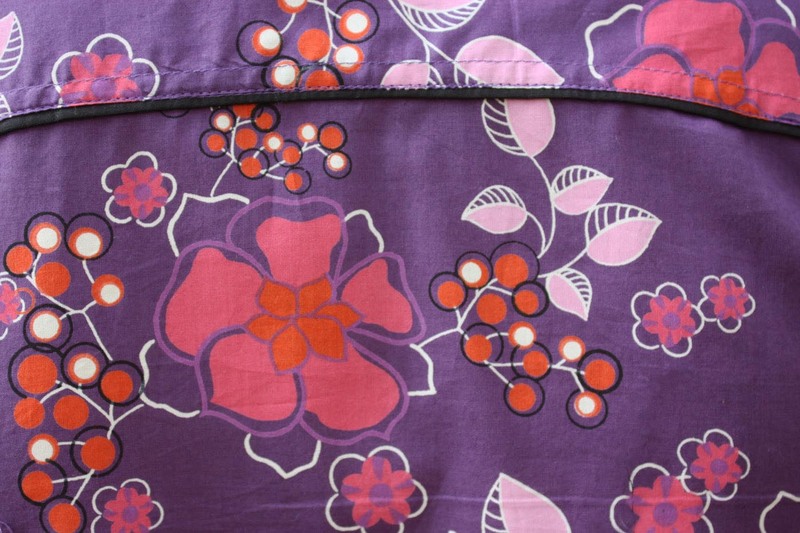 Floral print on purple cotton. 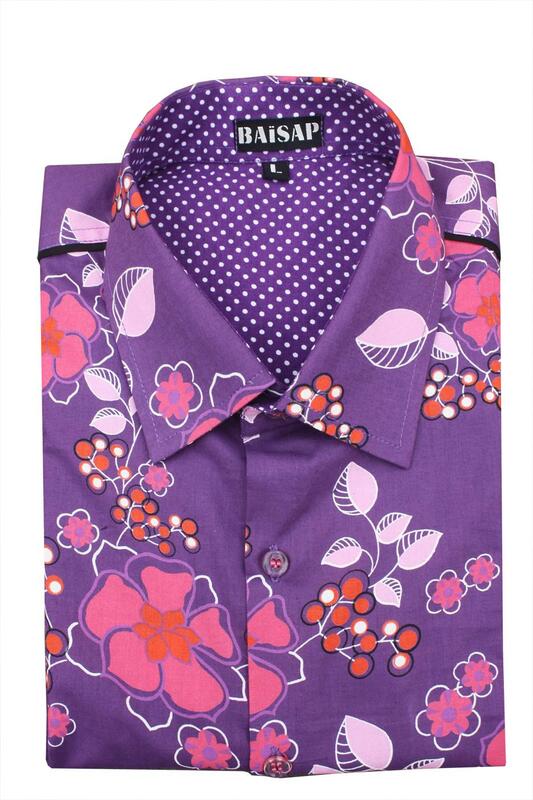 Assorted dots on shoulders, collar & sleeve lining.